Sunday Coffee Bar offers you Sunday Spirit everyday. Its very quiet and peaceful, you can work/chat/read/think while watching the street. And flat white is served with a mini cookie! Kronotop is a small but well equipped coffee shop in Cihangir. They claim making the best “specialty coffee” with their unique roasting machines. In Hawaii language, Mahalo means “Thank you”, and you’ll also be thankful to spend time here. You can get lost while finding it but don’t worry! It’s between old buildings and repairers. The chef in the kitchen bakes fresh cakes & pastries all day. They are really delicious! On top, flat white was smooth like a cotton candy! Interior design with rustic touches makes you feel like home in Drip Coffeeist. When you find its street, don’t forget to look up! Petra, without doubt, the best coffee shop in Turkey – in my humble opinion:) . They roast their own coffee in HQ and distribute to numerous coffee shops around Istanbul. In the photo below, you see their special Costa Rica Don Joel. In its aroma, you’ll taste rich chocolate with strong caramel flavor. Ozge Akpinar loves coffee. So much that, like me, she started writing about it. 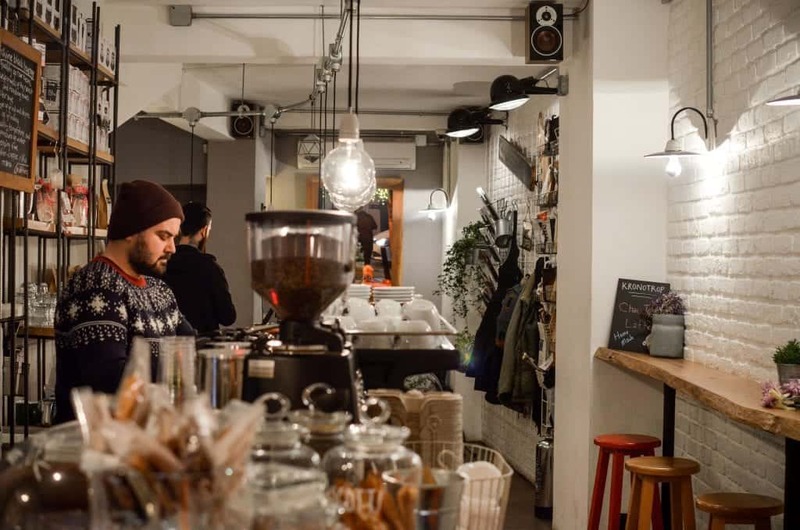 She was kind enough to share her post about Istanbul’s speciality coffee scene. For more of Ozge’s coffee guides, go to her Townske page or follow her on Instagram. Cover photo by The European Coffee Trip.